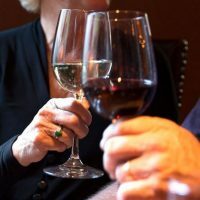 All-Day Happy Hour, every Wednesday from 4:30 pm to 9:00 pm! 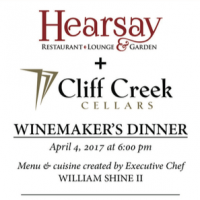 Hearsay’s Executive Chef William Shine and Cliff Creek Cellars’ present a very special evening with impeccable taste at Hearsay. 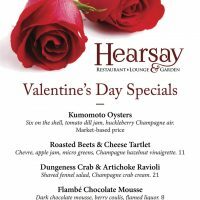 Join us for Valentine’s Day at Hearsay and enjoy our entire regular menu and these delicious seasonal specials.